My Intention is to serve as a bridge to a higher level of clarity, consciousness and empowerment for my clients. Titania is available to read in person, over the phone and for groups. Please contact her at 604.947.9987 for more information. Titania's strong but gentle artist's Spirit shines through her intuitive work. Using Tarot as her brush, she produces 'Lifescape' readings with the same luminous free-flow expressed through her landscape paintings and wearable gemscapes. Insightful, helpful and real. Thank you Titania! 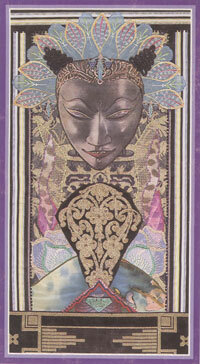 Titania is a brilliant intuitive who really lets the cards guide her. I have benefited immensely from her gift and highly recommend her services to anyone looking for clarity in their life circumstances. In the tarot readings I've done with Titania I've always walked away feeling greater clarity and a centeredness in where my life is moving. What is refreshing about her readings is that they don't feel like a fortune telling session, but rather a deep intuitive tune-in with my soul's journey. I always walk away grateful! The Tarot readings that I have had with Titania have held up a mirror and brought much insight (sometimes in areas I was choosing to ignore). 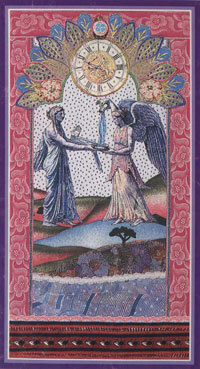 I have found her intuitive skills and sensitivity within this media very helpful in clarifying my path. Titania was able to present an accurate reflection of my life, inner and outer, coupled with possible solutions to the areas holding me back. The clarity I received from the reading I had with her was astounding....I recommend this process to anyone, especially if you are seeking an understanding of your present circumstances and seek tools to continue your journey in the highest possible light! A reading usually takes about an hour. That which is uppermost in your life at the time of the reading is usually what is addressed. At the beginning of the reading, I set the energy for clarity, upliftment and safety, asking for higher powers to protect and clear the space. I also express my intention to be a clear and concise channel for the information you most need to hear at the time of the reading. 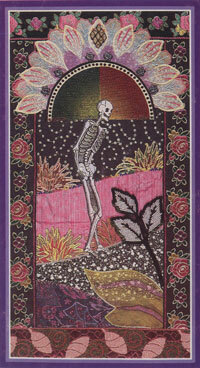 Although Tarot can give you a very keen sense of the probabilities inherent in a situation, the specific way that things turn out is always up to you. 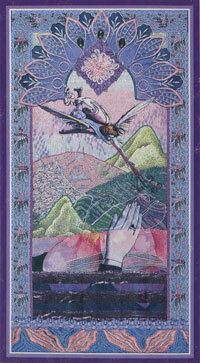 A Tarot reading shows what is going on in the Present, at the time you are choosing the cards. It can help you to see aspects of a situation that you may not have distinguished. From that place of greater clarity and distinction, we may discuss how you want to see things go, and I may make some suggestions as to how you can create that in your life. In that way, it becomes more than just a reading, it becomes a life-coaching session, where you take your power and move your life in the direction you want it to go. 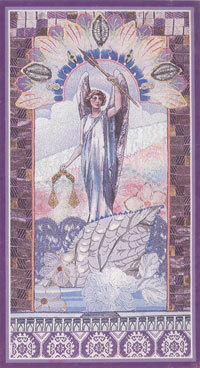 Titania has studied Tarot for 21 years and began reading publicly 14 years ago. 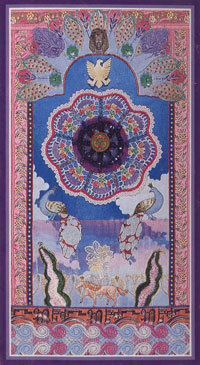 Her spiritual path is the central pillar of her life, and she enjoys using her gifts to help others on their spiritual journey. 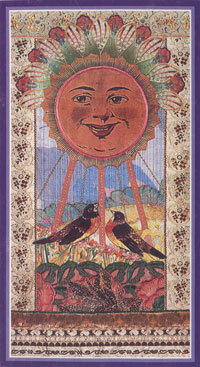 In addition to her Tarot practice, Titania is an artist who makes her home on Bowen Island, BC, Canada. Gift Certificates and Phone/Skype readings are available.